Sweet Peaks Ice Cream, has built itself in a small chain of gourmet ice cream shops across Western Montana. And, now it looks like Sweet Peaks has set it eyes on a space in Downtown Coeur d' Alene for their first new location opening outside of Montana. 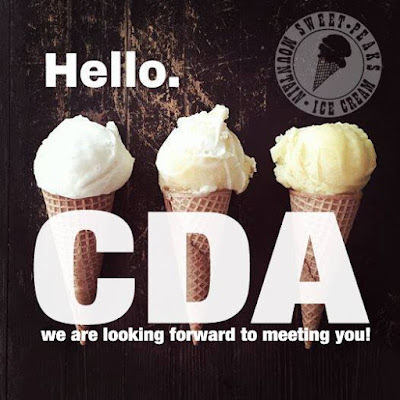 The new Coeur d' Alene Sweet Peaks Ice Cream location doesn't have a set opening date as of yet, but will be opening sometime in the Spring. Hiring for management and all open positions for their new shop is open now, however. The new Coeur d' Alene location, couldn't be more centrally located, right in heart of Downtown. The business will open in the former ArtCo Lab art gallery space on N. 4th Ave. right next door to the Moose Lounge. Sweet Peaks Ice Cream is a small batch, family run ice cream business, making and selling their own ice creams. And, since their ice cream is made is small batches flavors can be created that are more unique that the big chain ice cream shops. The business has been going strong since being founded in 2010 in Whitefish,MT. Today Sweet Peaks Ice Cream operates 4 locations around Western Montana and even a ice cream food truck based out of a modified horse trailer. We realize it's only their first day, but the store is clean, well stocked and with friendly faces to show you where to go to get what you need. And, you can find most anything with the store being a full grocery store with meat, bakery , produce and even a new in store pharmacy. But, the new Liberty Lake Yoke's takes it one step further then being a standard grocery store. This new Yoke's store also has a large healthy options / gluten free food department, near the front of the store called Nature's Corner. A department of liquors are also available in a secure area, nearby the customer service desk. The opening of this new location likely did create some new jobs for the City of Liberty Lake. Although those totals are not completely accurate as some employees, simply came over from the Haggen grocery store that had been in the same building. That store closed, along with numerous others after Haggen attempted to purchase far too many of Safeway's former grocery store locations. The new Liberty Lake Yoke's will be open for business daily from 5am - midnight , with shorter hours for the pharmacy ( contact the store for more info... ) . 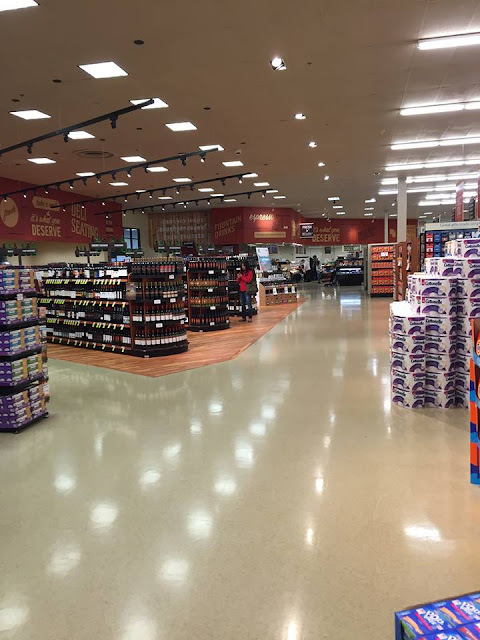 This new location will be the chain's 13th grocery store location. 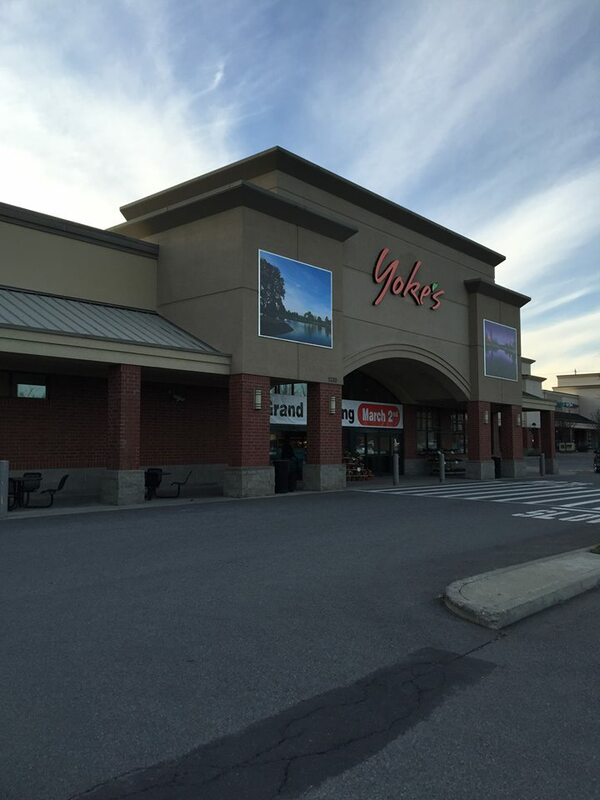 Those not familiar with Yoke's Fresh Market will want to make note that they are a locally owned and operated company, that is owned by it's employees. The Yoke's chain has seen some growth lately, also adding a location in the Tri-Cities not long ago, and wrapping up a full remodel of their store at 210 N. Foothills Dr. in Spokane recently. A new multi-tenant shopping center may soon rise from a vacant lot on Spokane's East side. The center will be kitty corner from the former Pepsi warehouse, next to The Tire Store at 3907 E. Sprague Ave.
Construction will likely start sometime this year, although no exact time line is set. The building will face E. Sprague Ave with a surface parking lot and about 12,000 square feet of space that is dividable for multiple retail / restaurant type businesses. In the marketing materials, as many as 9 different storefronts are shown. Spaces are for lease, with leasing being done locally by Cantu Commercial Properties, LLC . Currently the building is being leased at $15 to $20 per square foot , plus NNN . The shopping center will have 300 feet of frontage on E. Sprague, and nearby many other large stores and large employers. Keep watching Inland Northwest Business Watch for more news on construction and tenants coming to this project. 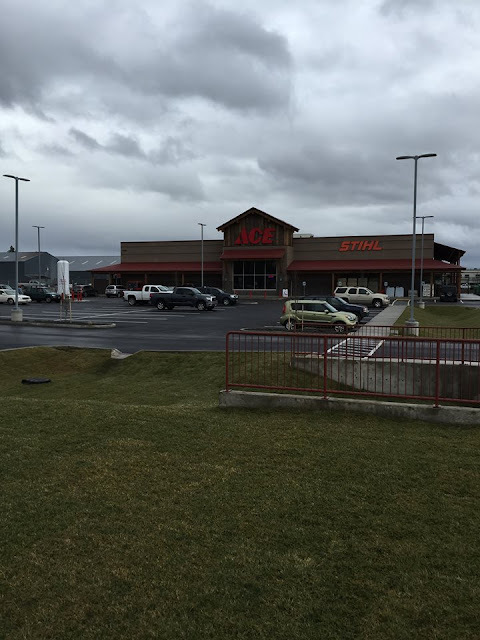 After several months of construction, Ace Hardware is now open for business in Rathdrum. The store, while part of the national Ace Hardware chain, is still locally owned and part Seright's Ace Hardware which also has locations on 4th in Coeur d Alene & on Seltice in Post Falls. The new Seright's Ace Hardware location is a full service hardware store. In addition to hardware, electrical, plumbing and other common hardware store departments, this new store will feature a full garden center. Many well known brands are sold at the store, including STIHL, Craftsman, Valspar and more. 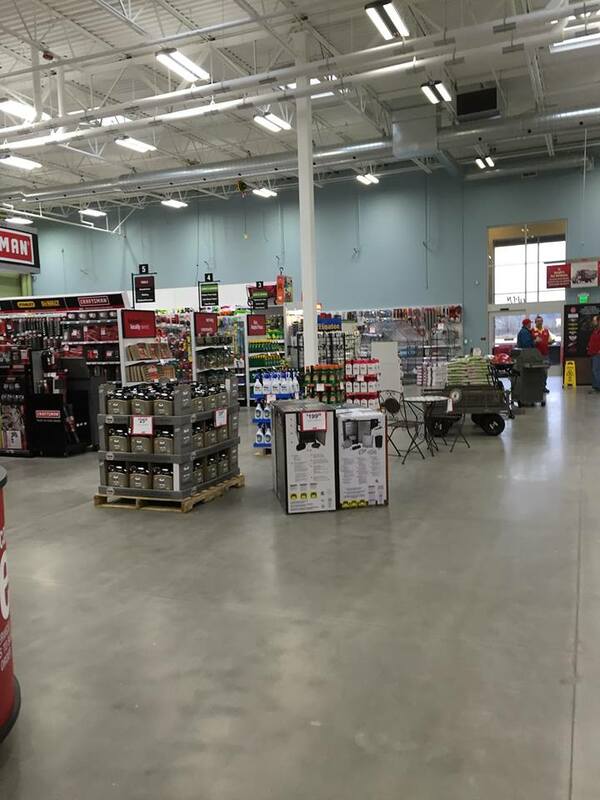 Seright's Ace Hardware - Rathdrum is open Mon - Sat 7:30am - 7 pm and Sat. 9am - 5pm . It was announced sometime ago, but lately people have been wondering exactly what happened to the plan to build a new Denny's Restaurant on the Division St. Hill. Now, we're happy to report building permits have been filed and construction will begin in the Spring for the new Denny's, which will be the 3rd location for the chain in the Spokane area. This new Denny's will be a 4,400 square foot restaurant, able to seat 150 +/- customers. We've seen no official renderings of this new location, it will be based upon Denny's newer " Heritage Prototype " . This look is a bit updated, while still keeping to much of the same experience. Like other Denny's this location will be a franchise and open 24 hours. This location will be owned by Feast Properties,LLC from California. Radix Construction of Nampa,Idaho will do the construction work on the new building and will likely be opened quickly although today there is no set opening date. Cole's Fine Foods has been a great source of gluten free food items since it opened in 2014. The business, while still new, has provided many with food allergies , a place to get fresh foods. But, now the locally owned and operated establishment is taking the next big step for their business. 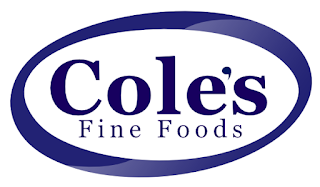 Cole's Fine Foods is in the process of expanding into a full restaurant, as opposed to the carry out / retail food business they had been . They'll still carry the same freshly made gluten free pizzas, baked goods , granola, cheese balls , but now they will also extend the menu into hot food items. The business will introduce hamburgers, gourmet grilled cheese, fries, onion rings, salads and more. Also, the upgrades will allow Cole's Fine Foods to start offering brunch entrees on the weekends. During weekend brunch hours waffles, pancakes, omelets and more will be served. They also will have a license for beer & wine and a slightly larger staff. They plan to have all the new features and menu items ready by the end of February. Cole's Fine Foods is location in North Spokane at 521 E. Holland Ave. , Suite 20 . As of now they are open 10am - 7pm Mon. 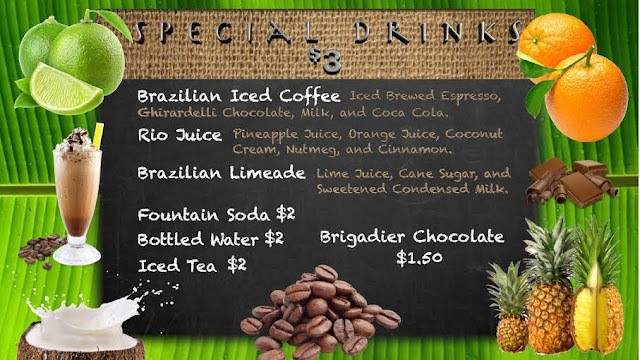 - Fri. & 10am - 5pm on Sat. .
First launched last Summer, the Starbucks " Evenings " program features the normal Starbucks menu but something extra also. The Starbucks Evenings program also highlights craft beers, fine wines and small plates, to attract a new crowd to the chain. 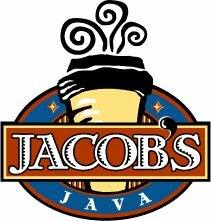 The Spokane based, Jacob's Java coffee stand chain is growing. Adding a new location on N. Monroe. 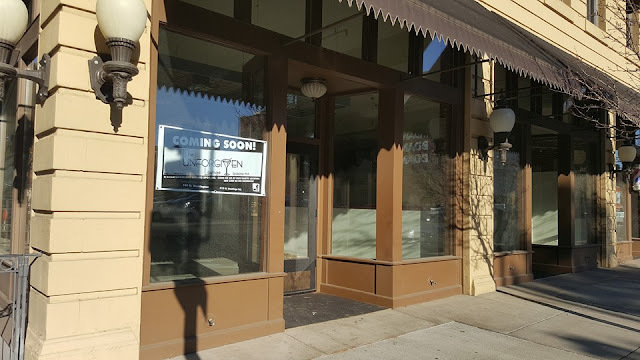 And, this new location will be a big step forward for Jacob's Java. The new location will be in the former Caffe Delicio coffee shop at 2301 N. Monroe St, nearby the CCS Institute for Extended Learning. The location has been a bit of neighborhood landmark and will give Jacob's Java, something they've never had before, an inside seating area. However just like all the other Jacob's Java locations, this new café will still have a drive up window option. The transition into the Jacob's Java chain has already started, with their coffee's already being served at the café. They plan to keep the impact of the transition minimal allowing the location stay open for business the whole time. Jacob's Java has been open for business since opening their first location in Spokane at 6th & Washington in the early 90's . 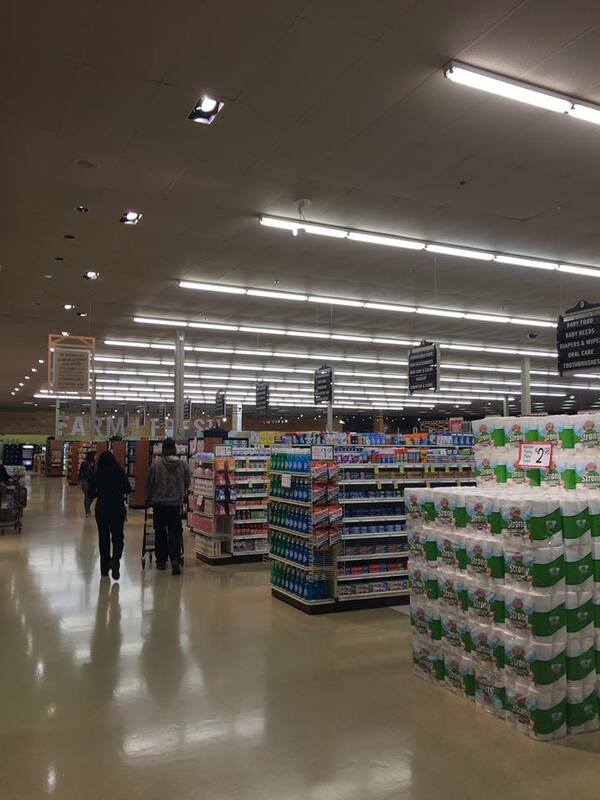 Today they have five locations, making the new N. Monroe store the sixth. All locations feature multiple coffee and specialty coffee drink options, in addition to smoothies, pastries and more. Hancock Fabrics, a " mid box " fabrics & crafts chain retailer has struggled for sometime. The company has experimented with smaller store footprints and streamlining inventory which it even tried with it's Spokane Valley store which moved to smaller strip mall location back in 2014. There appears to be no set closing date as today. The chain hopes to keep about 185 locations open, but it seeking bids to purchase the remaining company which employs thousands and is all around the nation. Hancock Fabrics says it owes $110 million in debts and failed to get a bid to purchase the company in a pre-bankruptcy offering. The company is based in Baldwyn,Ms. and has between $100 and $500 million in total assets. Currently one Hancock Fabrics location in the Inland Northwest is not scheduled to close, that being the store in Hayden's Prairie Shopping Center ( US 95 & Prairie Ave. ). The owners of the Spokane based Twigs Bistro & Martini Bar chain have been expanding rapidly and investing heavily . Twigs itself has new locations in the works in Portland, and some other locations around the Northwest. They also, only a few weeks ago wrapped up a full remodel of their flagship location in Downtown Spokane at River Park Square. But now, it looks like the Twigs ownership is already investing again at River Park Square. The same owner as Twigs has leased the space where the Loft clothing store once was. They plan a new restaurant concept for that location, which is on the first floor next door to Nordstrom and Williams Sonoma. That new concept will be a Southwestern grill style restaurant to be called Tortilla Union . Remodeling will start soon for a planned Summertime opening. The menu is still be worked out but the restaurant will " celebrate the spirit of the Southwest " . A drink menu will also be included with a full bar and beer / wine planned for the new restaurant. Tortilla Union will be relatively small with just 4,200 square feet of space. But, despite the size the planned restaurant, it will still create about 40 new jobs. National Furniture to move, building to be replaced by Carl's Jr.
National Furniture, with it's large sign and highly visible location in the University District at 1230 N. Division is on the move to allow their current building to be demolished. The building, which has acted as the furniture store's retail home for many years will be demolished to make way for a fast food restaurant, further marking the neighborhoods transition from empty buildings and furniture stores to a more up to date area with college students clearly in mind. Locally owned and operated, National Furniture will leave the site but will not be going out of business. The retail side of the furniture store will move into excess space at it's current warehouse. That new location is 213 E. Ermina Ave. , a block west of Ruby and just South of Camp Chevrolet. The new location, while less visible, will allow National Furniture to stay in much of the same area. Sales are going on now in preparation of National Furniture's move, which will likely happen within the next couple of months. Upon moving out the building, demolition will likely begin promptly with a new, much smaller building for Carl's Jr. to be constructed on the same site. 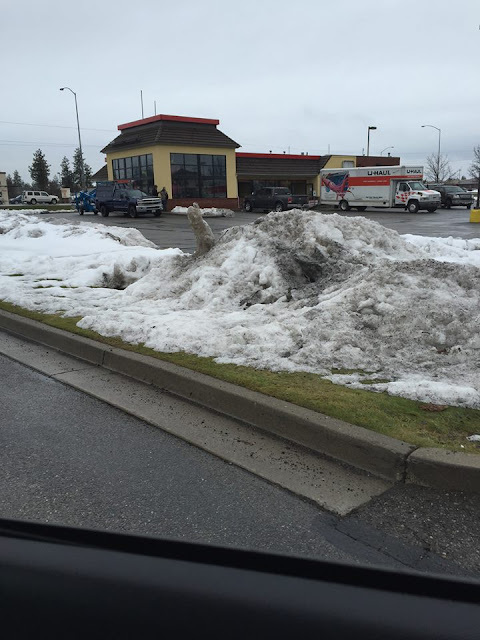 The new Carl's Jr. will be a franchise location owned by CJ Star, LLC of Boise . No opening date is scheduled as of yet but the new fast food restaurant should be open for business by the end of the year. 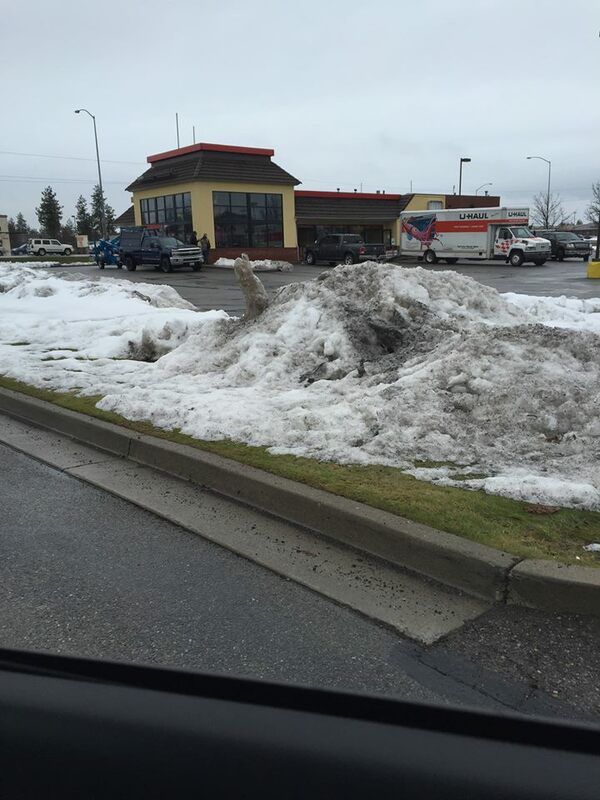 Like most other Carl's Jr. locations the restaurant will feature both a indoor dining area and a drive through lane. Plans call for the new Carl's Jr. to be approximately 2,800 square feet with a surface parking lot on the same piece of land. There is no news about how many new job might be created by the opening of a Carl's Jr. on the site, but the National Furniture move will result in no lost jobs as all employees will be able to move along with the store. XCraft has already been a popular topic of discussion lately, after appearing on a recent episode of the hit ABC TV show, Shark Tank. The company, was so successful on Shark Tank, that they we're able to get all of the " sharks " to invest in their unique and cutting edge drone business. But, it's not just the sharks on Shark Tank who have taken notice of XCraft. 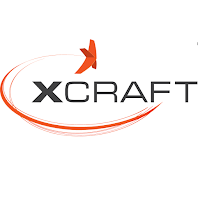 The company, which had been in a small space up in Sandpoint has been developing exciting new drone technology for sometime now, and with the drone market white hot right now, XCraft is poised to succeed. The company manufactures drones that can hover, fly faster and turn more easily then the conventional models. They also have a very exiting new concept that is currently in development, the Phone drone which would allow your smartphone to be flown around on a compact base. 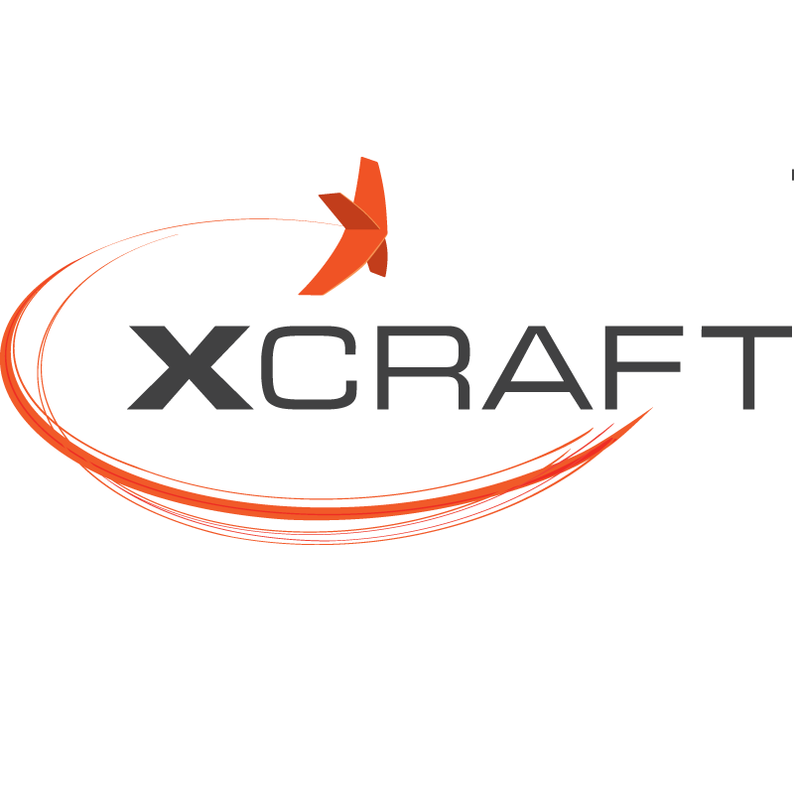 XCraft's drones truly are the future of the drone industry, being made today. But, with all the recent consumer interest , and perhaps some newly found investments, XCraft needed more space. Which they now have, as they recently relocated their corporate headquarters from Sandpoint to a new, larger location in the heart of Downtown Coeur d' Alene. XCraft's new HQ is located inside the former Wine Cellar / Kyle Rutley Fitness space in the 300 block of E. Sherman Ave. . The new HQ space is now open and has space for all of the company's employees, as admin, research & development and even product manufacturing are all done from the same location. Currently XCraft employ's 9 and is also actively looking to bring on interns to teach about them about the their industry and entrepreneurship. The Long Ear, Coeur d' Alene's locally owned & operated record & CD store has weathered the storm. 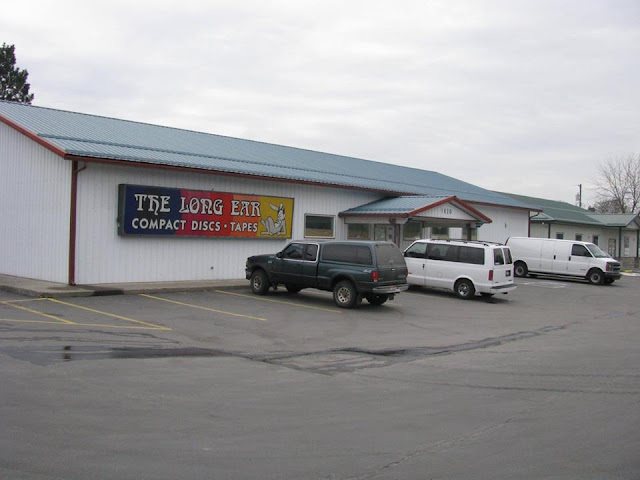 Surviving over 40 year in business, with the last 30 of those years in Coeur d' Alene, The Long Ear continues to be one of the Lake City's favorite businesses. The new location will likely open for business on February 29th, with the existing location on 4th St. closing on Feb. 20th. The new location will give the record store more sales floor space and an easier to access location. The store's merchandise will remain the same, selling records, cd's , tapes , music memorabilia and much more. But the new location will also allow them to expand upon their clothing selection, something that was a bit limited at their old home. The Long Ear has built itself a positive local reputation for good customer service and most notably selection. The Long Ear has likely hundreds more music choices then their competitors, which are mostly just the small selections of big box stores. The planning phase has now moved on to actual construction phase for a new six story Hampton Inn hotel nearby Downtown Spokane on the Lower South Hill. This new Hampton Inn, will serve the hospitals and medical facilities at the base of the South Hill. It will rise across from Sacred Heart Hospital at 675 S. McClellan St. , corner of McClellan at 7th Ave. . This new Hampton Inn is being developed by Spokane S. Medical,LLC, a part of the Spokane Valley based Hospitality Associates , Inc. who owns numerous hotels around the Western US, Alaska and Hawaii. Hospitality Builders of Rapid City,SD is acting as contractor on the project. The new hotel will be built with an on site four story parking structure and will be a mid-priced hotel with a modern design. In addition to convenient on site parking the hotel will also feature an indoor pool & spa, fitness center, free hot breakfast and free wifi. Plans call for a total of 109 hotel rooms, including more then 30 suites. Meeting space will also be included in the building with nearly 3,000 square feet of designated meeting space. Watch for this new Hampton Inn to open sometime during the Spring of 2017. It's now official, Providence Health System has partnered with Fairfax Behavioral Health and is planning to build a psychiatric medical center nearby Downtown Spokane. The new center will be a 100 bed facility for inpatient care primarily for patients experiencing mental health episodes. The new medical center will also offer 24 pediatric beds but will only serve patents over the age of 5. The new Providence center will be located nearby the Sacred Heart Hospital and will replace an existing building. The new center will rise at the corner of 5th Ave. & Browne , where the Providence Fifth & Browne medical office building stands today. The psychiatric hospital will cost about $37 million to construct, although the renderings / floor plans have not yet been released. There also is no set opening date, however it will likely be in 2017. The new facility is designed to fulfill a need statewide for mental health hospital beds. Providence Health was one of a group of local applicants for a facility in the Spokane area. Providence already has some mental health beds located inside the Sacred Heart Hospital, those will be " scaled back " some once the new 100 bed center opens. Vessel Coffee Roasters opening new flagship coffee shop on N. Monroe. 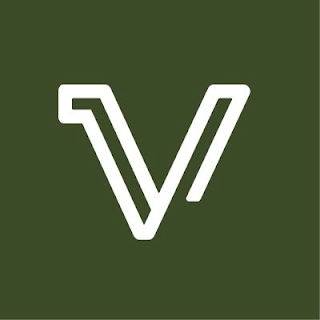 Vessel Coffee Roasters, is a relatively new Spokane based craft coffee roasting business. Their name may not be known by everyone in Spokane just yet, but that will likely change in the coming months. This as Vessel is in the planning process of creating a flagship coffee shop to brew up their delicious coffee to the general public. According to Vessel, this new coffee shop may serve as many 40,000 cups of their coffee each year. The new Vessel Coffee Roasters coffee shop will be in the N. Monroe area, a few block north of Downtown Spokane. The exact location is the building at 2823 N. Monroe St. , a couple of block to the west of Corbin Park. As of now they don't mention a name for this new coffee shop, but are clearly hard at work getting it open for business. The coffee shop will be located in the same building as their coffee roasting operations. The new flagship coffee shop, will have numerous unique features, including re-using reclaimed wood from a dock on Lake Coeur d' Alene. Also they promise to have couches, industrial lighting, hanging bike racks, local artwork and a warm fireplace. And, of course coffee, brewed locally by a locally owned and operated business. Currently they hope to open their new coffee shop for business sometime in the Spring, but don't have a set opening date as of yet. If all goes as planned it will create 10 new jobs and open up about 2 new intern positions which will be paid and given to local at risk youth. Vessel Coffee Roasters, produces several different types of coffees already, all of which are sold on their website ( and in some other locations ). They produce both coffee and espresso and will likely continue to grow their offerings as time goes by. Vessel also is trying to give back, by investing 10% of their roasted coffee sales into a fund that give continual microfinance loans to people living in poverty. We we're one of the first to mention that the former Rio Grill Brazilian Steakhouse ( now closed ) from the South Hill was opening a new fast food Brazilian restaurant concept at River Park Square. And, now we can share that their new Rio Grill Brazilian Express is now officially open for business. Rio Grill Brazilian Express is a tenant of the River Park Square food court, in the former Cruisers space, next to Panda Express. 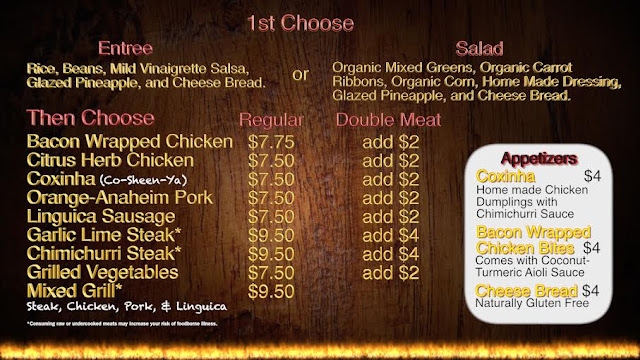 The new business is locally owned & operated and is a healthier alternative to regular fast food. 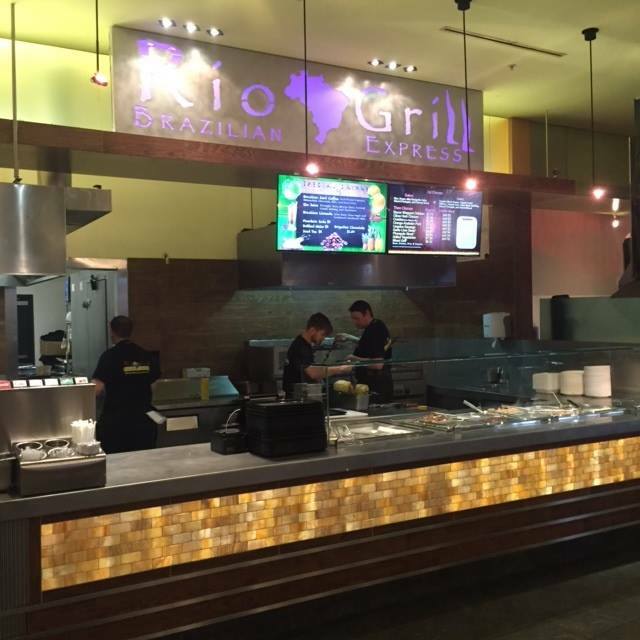 The new Rio Grill has a unique and special Charrasco grill that slowly rotates their 3 meats over an open flame. This allows the flavors and natural juices to baste back into the meat. A locally owned & operated favorite craft beer bar on the South Hill will close their doors for good very soon. The Hop Shop, which has spent the last few years serving up fresh and often locally produced beers and wines is being forced closed after negations to renew their lease broke down. The business, which is located at 3803 S. Grand Ave ( corner of 38th Ave. & Grand ) was unable to renew the lease on the building from their Seattle based landlord. And, now the landlord, has re-leased their building to the owners of Remedy, a new bar & restaurant that is opening soon next door in a former dry cleaner's building. Although there is no news about what Remedy's plans are with the building there is a rumor it will be removed for additional parking for their new restaurant. The Hop Shop will close their doors at the end of February and the business as it is today will also close. However the business owners may not be out of business for good. In a recent post on another website, business owner, Mel Wood claims to be already planning another new and larger craft beer based business elsewhere on the South Hill. We will keep an eye on this exciting new business plan. The Hop Shop also recently started a craft beer food truck ( or bus as the case may be ) named The Tap Mobile. That bus will also continue on and be a part of the plan for the new business. The Unforgiven Lounge, a locally owned and operated bar & restaurant from North Spokane has chosen a historic Downtown storefront for it's latest location. The Unforgiven Lounge will occupy a former hair salon space at 108 N. Washington Ave. The new Downtown location will be the second location, as their original location at 415 W. Hastings Rd in North Spokane will also stay open. Renovations of the Downtown location are underway, adding a bar and some other new features to the space. Because it is still early in their opening process, there is no set opening date, but they are hoping to be open by the end of March. The new Downtown Unforgiven Lounge will still have a full bar with a specialty in martini's , but also beer & wine. Like up north, the Downtown location will also have a food menu, but that food menu will be different. The Downtown location won't have a grill, so the menu will likely have more appetizers and sandwiches. 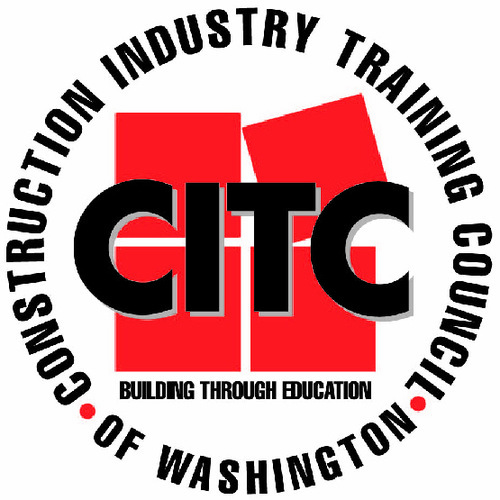 The Construction Industry Training Council of Washington, may sound like an older government agency. But it's actually the group behind a new training center for those interested in the construction industry or needing to brush up their skills. The business, which already has two locations in Western Washington ( Bellevue & Vancouver ) recently opened their first located east of the Cascades, here on the West Plains and near Spokane International Airport. The facility is in a portion of the Aero Business Center at 10428 W. Aero Rd. Their facility has 13,000 square feet, a small staff, and already a little more then 100 students. 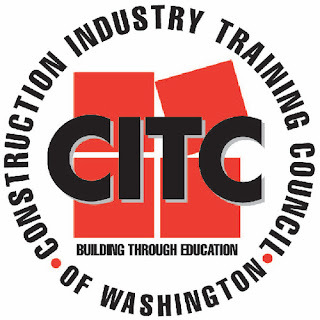 The Construction Industry Training Council of Washington, offers construction apprenticeship, construction training, continued education for license renewal and skills assessments for those in the industry and others. Question #1 - What's going in across from Winco in Spokane Valley? The former King's Chinese Buffet ( and, The Sizzler before that ) building has been sold and now demolished. The site, which is across Sprague Ave. from Winco ( at the corner of Sprague & Farr ) is now all torn up with construction crews doing site work their daily. So what will it be? Despite their being a rumor of another recreational marijuana store. It will actually be a new NAPA Auto Parts store. The new store will be a little over 8,000 square feet and replace another NAPA store less then a block away from the site. Also, of note is O'Reilly Auto Parts is doing a similar move, by moving into a new building at Sprague & Bowdish, replacing a smaller store of theirs. That new store will also act as a parts warehouse for other O'Reilly Auto Parts stores in the Inland Northwest. 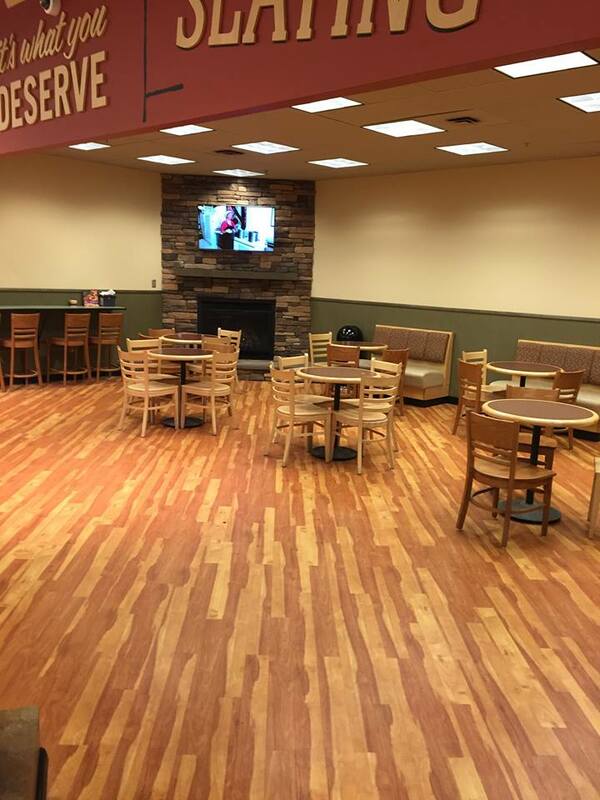 Question #2 - When will the North Spokane Trader Joe's open for business? Trader Joe's has not given an opening date for their new store as of yet. Although it is already under construction in the former Rite Aid space at Franklin Park Commons shopping center on N. Division. From what we've been hearing it will likely be opening sometime in April. Question #3 - What is going out front of the Turning Point Church in Wandermere? Sold signs have gone up on N. Division, on the land out front of the Turning Point Church, near Fred Meyer. That piece of land was sold to a group of real estate investors, using the name Field of Dreams,LLC . The new owner plans to develop a 14,000 plus square foot medical office building on the site, but has yet to say a name or show any renderings of the building. However, a large portion of the new building is already leased, with at least three tenants already signed on. Just in time for Valentine's Day, Anemone Paper Flowers has relocated from it's SoDo storefront ( on 2nd ) to a new space inside River Park Square. The business had been in the Downtown mall in the past as a seasonal vendor, but is now back permanently and will be open year round. 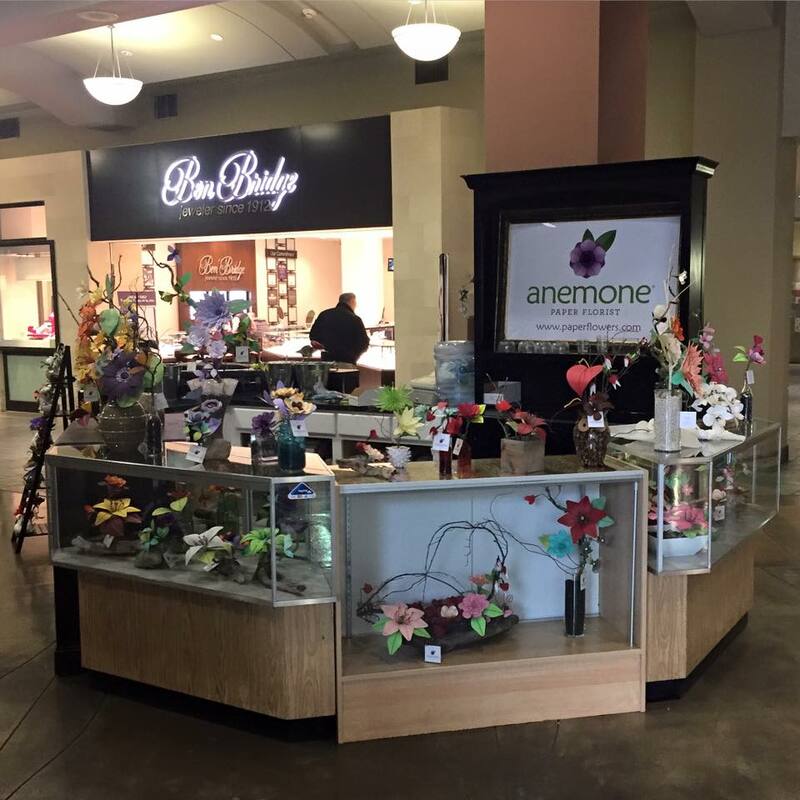 Anemone, is a locally owned and operated business creating beautiful paper flowers and paper floral arrangements . They are located right on the ground floor of River Park Square in a newly created kiosk like space by the parking pay station / mall information booth. While Anemone's flowers are made of paper, their products are still very beautiful, looking much like regular flowers. But the only catch is Anemone's flowers actually last because, unlike regular flowers these flowers don't die. First announced back in May, Rockwood Health System and their contractors has been hard at work on a new freestanding Emergency Room. The freestanding ER is a spin off of Deaconess Hospital Downtown and acts a full emergency medical facility. The facility is located in North Spokane, just south of The Y at 8202 N. Division and just north of Discount Tire. The building, which is 12,700 square feet, has now been completed but Rockwood is still awaiting final approval to open the site to patients. That approval, however is expected soon, meaning they could open for business as soon as this weekend. The new ER will offer 15 private rooms , 2 triage rooms, a few exam rooms, an on site lab and imaging equipment. This is the first freestanding ER, separate of a hospital in the Spokane area, but far from the first as this is a trend that has been opening up all over the US. In fact, another facility is already in business in the Tri-Cities area. The reasoning is most ER visit don't result in being admitted to the hospital, most cases are usually treated and released . Should a patient of this new ER need hospital admittance, transportation to Deaconess ( or any hospital ) will be provided. Also in the event of a larger emergency the new ER's site is equipped with a helicopter landing pad for MedStar or Lifeflight. Since this new freestanding ER acts as a satellite facility to the main hospital, it will have short wait times. They plan to have wait times of under 30 minutes at all times. This is not the only recent expansion for the Rockwood Health System. As not too far away from the new ER is Rockwood's new Cancer & Blood Specialty Center. That new facility is located at 309 E. Farwell Rd. Suite 100. Other developments are also happening as Rockwood tries to keep up with the growth of their main competitor, Providence Health. Spokane Youth Sports Association or SYSA as it is better known, has operated a bingo hall in a former grocery store ( a former Safeway, I believe )for quite some time. The bingo hall, currently located at 2230 E. Sprague Ave. offers several bingo games to benefit the non-profit on multiple nights per week. But now, the SYSA Bingo Hall is on the move and closing up shop on E. Sprague. The last night for bingo in the current location is Sunday, Feb. 21st and there will be no bingo for a short time. But don't worry as it is not for long. SYSA plans to begin bingo again in a new home sometime in March, depending on permits and renovations and the like. SYSA plans to move it's Bingo Hall into the former Tailgater Sports Bar building at the corner of N. Howard & W. Boone, across the street from Spokane Arena. The new location will act as both a Bingo Hall and some offices. The dates and times of bingo will likely remain the same but will give the facility a safer location that is closer to Downtown. Free parking is also on site, although a portion of the buildings parking lot is shared with neighboring Value Village store. SYSA's current building on E. Sprague already does have a new owner. But, the organization is not sure of what their plans are for that building. We will keep an eye out for that, in addition to the official opening date of the new Bingo Hall location. In case you haven't heard yet, a new comedy club with "a list" comedians is opening soon in Downtown Spokane. 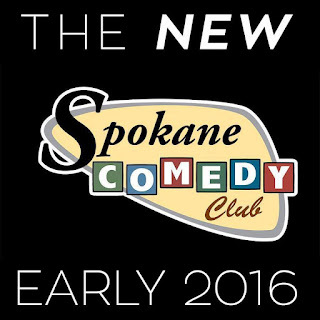 The club will be called Spokane Comedy Club and is branch off of the Tacoma Comedy Club in Tacoma. These show's range from one night to multiple nights and most, if not all, will be 21 and over shows. For the times for all of these comedians upcoming appearances and how to purchase tickets, visit Spokane Comedy Club's new website at- http://www.spokanecomedyclub.com . Keep an eye also on this new comedy club as we expect more big acts to be coming soon. Currently the clubs first show will be in March. Spokane International Airport ( GEG ) , known for it's short lines at TSA, free wifi and complimentary baggage cart services is continuing to make upgrades to make the customers experience better. Alaska Airlines, who already has daily flights departing from Spokane announced last week it will soon add a non stop flight to Anchorage. This new flight will begin in June and will only be once a week on Saturday, for the time being. This new Alaska Airlines flight will be Spokane's only service to Anchorage. Prior to this, flights to Alaska required a lay-over, usually in Seattle. At this time Alaska Airlines service will only be seasonal service but is garnering a lot of attention. In true Northwest fashion, a third Starbucks Coffee location is now open inside the Airport terminal. The new Starbucks is now open and is on the upper level of the C concourse. The new location is a full Starbucks will coffee and pastries. Graham Construction & Management, Inc. recently completed construction of a new office building for the Airport's parking operations. The new building was designed by ALSC Architects and has 3,800 square foot of office space. The new building provides both office space for the Airport parking staff and a customer service center. Part of the building is open to the public for business travelers, etc.. to purchase monthly parking passes. The new parking operations building is located just west of the terminal near the exit for the parking garage / main parking lot. It's also nearby the airport's new car wash facility. First announced back in September is a new Panera Bread restaurant location in Hayden, one of the first Panera Bread locations in the State of Idaho. But, when the plans for the new location came out, Panera rep's we're unable to say exactly where because they planned to remove a building, that was still in business, for their location. But we now know where this location will be and which building will be demolished for Panera. The new Hayden Panera Bread will be built in the place of the Hayden Burger King just north of the corner of US 95 and Prairie Ave. on a pad site at the Prairie Shopping Center. 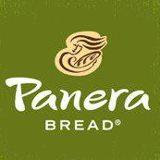 Construction work on the new Panera Bread location will start shortly after the demolition is completed. The Panera Bread will likely be like other Panera locations around the country, usually 5,000 square feet with dine in and drive through, and 65 employees. The Hayden location will open in August or September of this year and will be the third location for the chain in the Inland Northwest. The first location on Indiana Pkwy, near Spokane Valley Mall opened in 2015 and a second location on N. Division, out front of Lowe's in North Spokane is opening soon. Panera Bread is chain of restaurant providing a healthy fast food option. The chain, which is based in Kirkwood,MO has grown rapidly in recent years, now with over 2,000 restaurants.